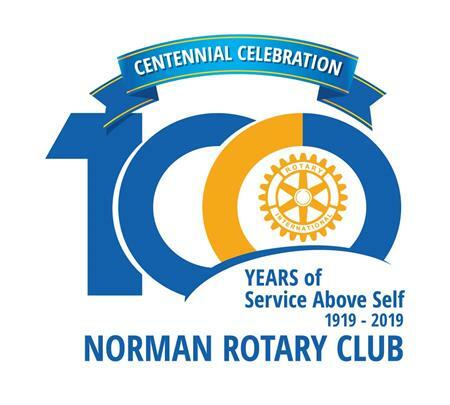 Formed on May 1, 1919, the Norman Rotary Club began its journey with 22 charter members. From the beginning, as community leaders, Norman Rotarians have taken an active part in the community. One hundred years later, our tradition of service above self continues. Additionally, Norman Rotary Club is honored to be the home of the 2013-14 Rotary International (RI) president, Ron Burton. Now chair of the Rotary Foundation's Board of Trustees, Mr. Burton will be our keynote speaker at our Centennial Gala Celebration. Please join us to celebrate our history and achievements of the past and share in our vision for the future.